The Cairngorms National park is one of the areas where the new Scottish wildcat action plan is being implemented. The aim is to conserve Scottish wildcats by reducing the chances of cross breeding with domestic and feral cats and by lowering the risk to wildcats from feline diseases. 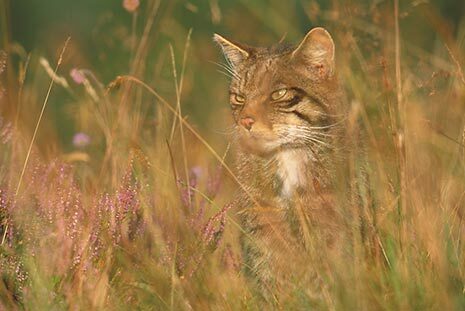 The Cairngorms Wildcat Project in 2013 won the RSPB Nature of Scotland Innovation Award. This helped to raise awareness of the plight of the Scottish wildcat throughout the Cairngorms and work with local people to reduce key threats. The success of this project is now being used as the template for the national action plan to save the species, delivered by Scottish Wildcat Action. gathering extensive data and sharing our findings to improve understanding of this elusive predator.